Eleanor Braddock's arrival at Belmont Mansion relieves some financial difficulties, but presents a new set of complications. Her wealthy and demanding aunt, Adelicia Acklen, provides her with a place to stay as well as proper care for her ailing father. However, Eleanor longs for more than an arranged marriage to a rich suitor of her aunt's choosing. She finds purpose and passion in serving the widows and orphans of the Civil War, but her endeavor brings her closer to Marcus Gottfried, an architect, botanist and man of secrets. Eleanor and Marcus have very different ideas about how to house the widows and orphans, yet even as they disagree, romance seems to unexpectedly arise. Read more in A Beauty So Rare by Tamera Alexander. 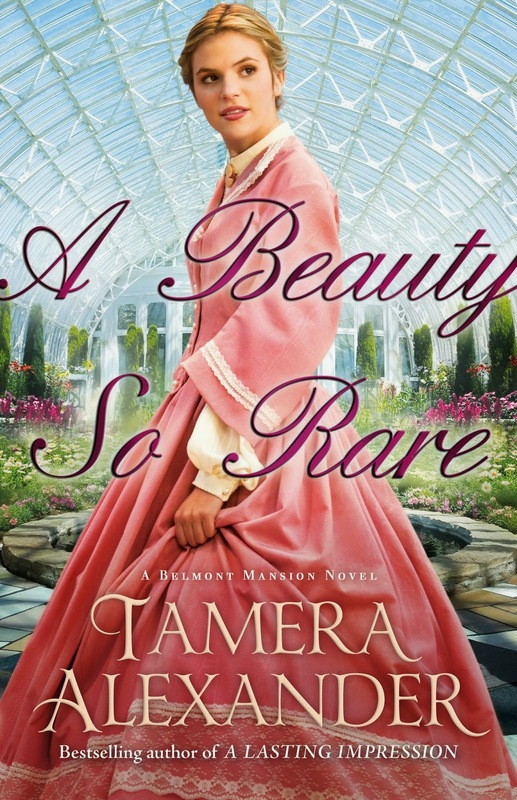 A Beauty So Rare is the newest installment in Tamera Alexander's Belmont Mansion series. Though it's the second book of the series, it works fine as a stand-alone novel. I hadn't read the first one and didn't feel like I was missing anything. In traditional Tamera Alexander style, the book is long with plenty of twists, but the story never drags or becomes boring. I liked the character of Adelicia Acklen, but kept wishing someone would flat-out refuse to acquiesce to her. There was plenty character development for most of the characters and the romance was sweet. I recommend to fans of historical Christian fiction. Read an excerpt from A Beauty So Rare by Tamera Alexander on the publisher's website.